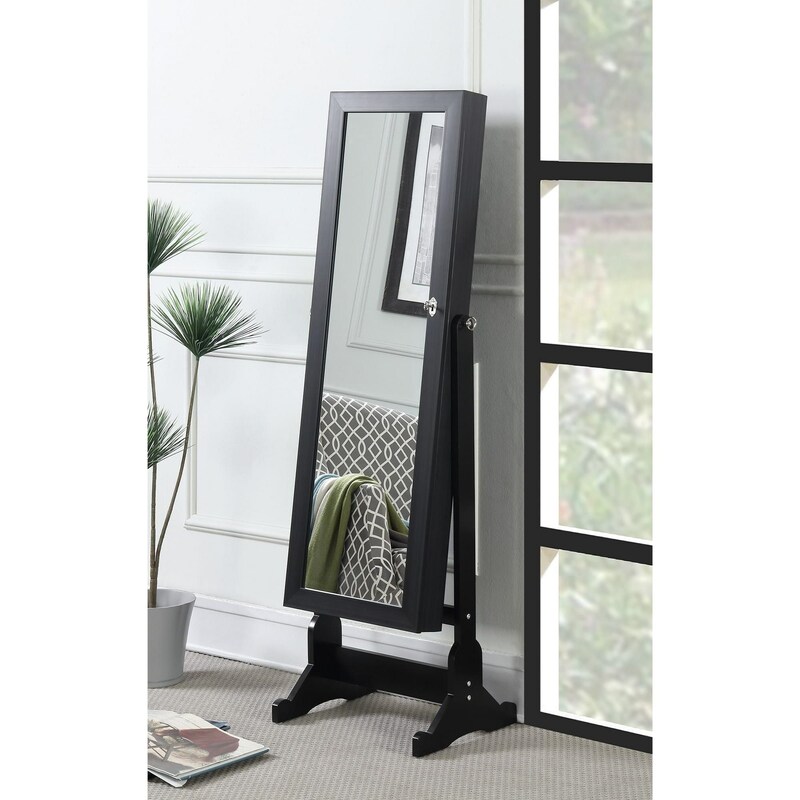 Providing double functionality, this cheval mirror has simple lines and graceful feet for a style perfect for any bedroom decor. The interior of the full length tilting mirror includes shelves, plentiful hooks and jewelry ring holders to keep your precious keepsakes organized and safe. The Accent Mirrors Black Jewelry Cheval Mirror by Coaster at Al-Mart Furniture in the Oak Park, River Forest, Chicago, Elmwood Park, Forest Park, River Grove, Maywood, Melrose Park, Berwyn, Cicero, North Riverside, Brookfield, Lagrange Park, Franklin Park, Norridge, Oakbrook, Elmhurst, Bensenville, Lyons, Stickney, Harwood Heights, IL area. Product availability may vary. Contact us for the most current availability on this product. The Accent Mirrors collection is a great option if you are looking for Traditional Traditional Traditional furniture in the Oak Park, River Forest, Chicago, Elmwood Park, Forest Park, River Grove, Maywood, Melrose Park, Berwyn, Cicero, North Riverside, Brookfield, Lagrange Park, Franklin Park, Norridge, Oakbrook, Elmhurst, Bensenville, Lyons, Stickney, Harwood Heights, IL area.